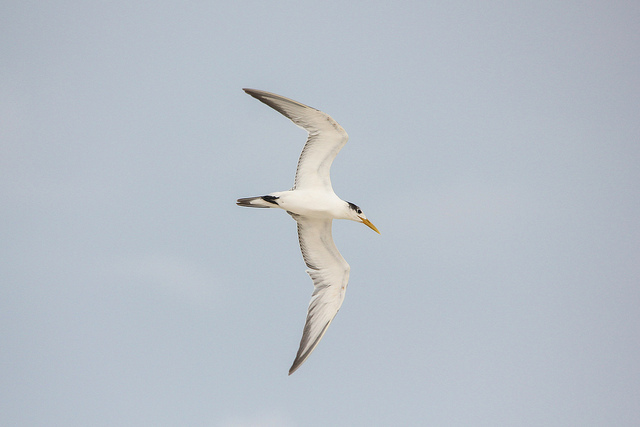 The Lesser Crested Tern breeds in Africa and Asia. In Europe it is a rare vagrant. 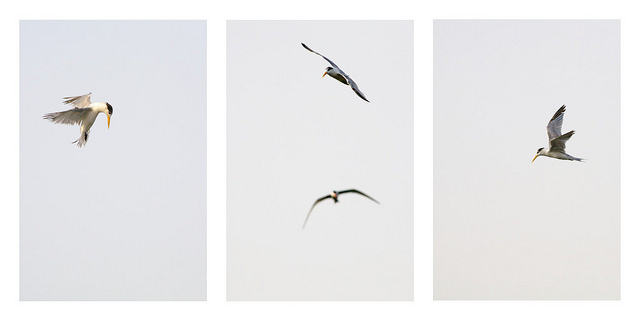 It looks like the Sandwich Tern, but has a bright orange beak.